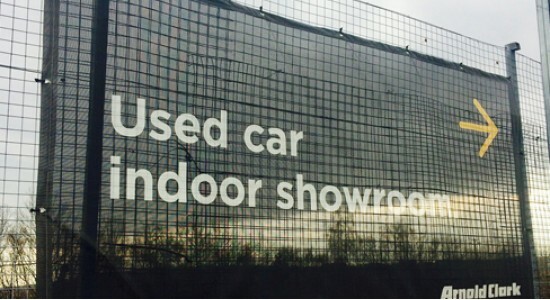 Mesh banners are designed for areas where high exposure to wind may be an issue. Produced on PVC with a fine 'mesh' allowing wind to pass through the banner itself, minimising the 'sail effect'. Hemmed and eyeletted like a regular PVC banner, perfect for sporting events, railings etc.